The company endeavors to expose young people to great books and stories through a celebrity storyteller and to spark their imaginations with Mrs. P's Annual Be-a-Famous Writer Contest for K-4 classrooms. The FREE website (MrsP.com) also has a special teacher page with video playlists & study questions for students about the stories. 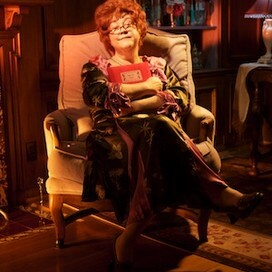 Mrs. P is played by actress Kathy Kinney. Debuts in the Magic Library! Plus 2015 Writing Contest Theme, Judges & Sponsors Announced! Imagine a world where everyone can read. That’s what World Read Aloud Day is all about, and that’s why every year I participate in this Global Literacy Movement. By raising our voices together, we show the world’s children that we support their future: They have the right to read and write and engage in the global dialogue. What better day to share the winning story from my 2014 Be-a-Famous Writer contest? “The Magic Baseball Poster,” from Karen Close’s 4th-grade class at Elm Lawn Elementary School in Middleton, WI, was selected as the grand-prize winner of my 6th annual, K-4 writing contest. The theme this year was time travel, and here’s a video of me reading the winning story! 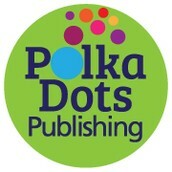 Join the celebration by reading to your child for 20 minutes each day during the month of March. Go to your local library, check out a few books and ask your child to read them to you. 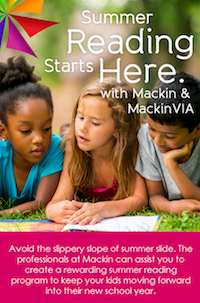 Connect readers with Mackin's new "I Want To Read" website, hosting an astounding array of helpful resources.